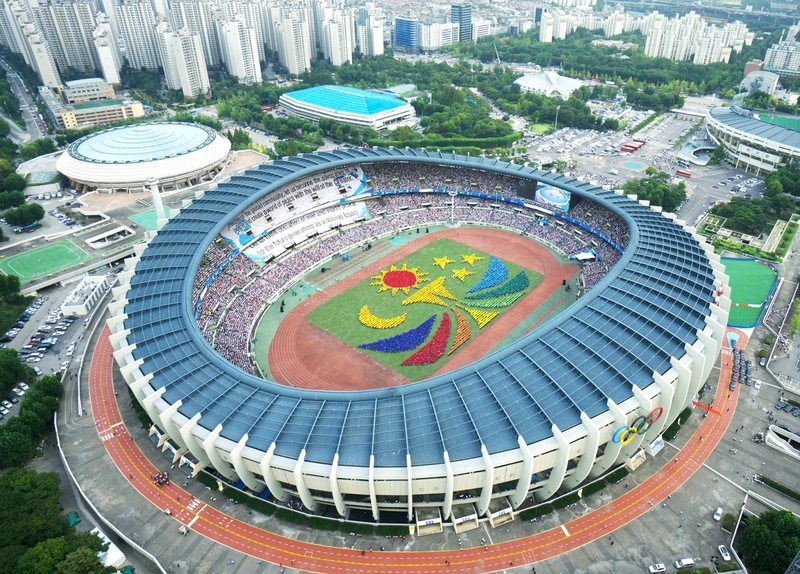 On September 17, 2014 the Heavenly Culture, World Peace, Restoration of Light (HWPL, Chairman Man Hee Lee) held the 2014 World Alliance of Religions’ Peace Summit at the Seoul Olympic Stadium. During the opening ceremony, the entrance of distinguished guests was followed by the spectacular Card Section performance, which conveyed the vanity of war. As the host of the event, Mr. Man Hee Lee delivered the opening address in which he said, “If the heads of state love their country and people, they should sign an international agreement that would put an end to all wars and bring about peace.” After that, Ms. the chairwoman of the International Women’s Peace Group (IWPG), delivered the commemorative address and spoke about how she changed after meeting the true advocate of peace and about the power of women that can achieve world peace. Prior to the opening address, a video was shown of Mr. Man Hee Lee’s peace movement and his World Peace Tours, during which he traveled to 54 countries and delivered the message of peace. In January in Mindanao of the Philippines—one of the most war-torn regions in Asia—Mr. Man Hee Lee played a key role in resolving the 40-year conflict between Catholics and Muslims through a peace agreement. Also, in Zamboanga City of Mindanao, Mr. Man Hee Lee presented the practical solution to peace at the Peace Walk in which over 12,000 people participated. After Mr. Man Hee Lee proclaimed the opening of the summit, a variety of congratulatory performances including “Dance of Peace, Festival of Light” and “World is One” were presented.